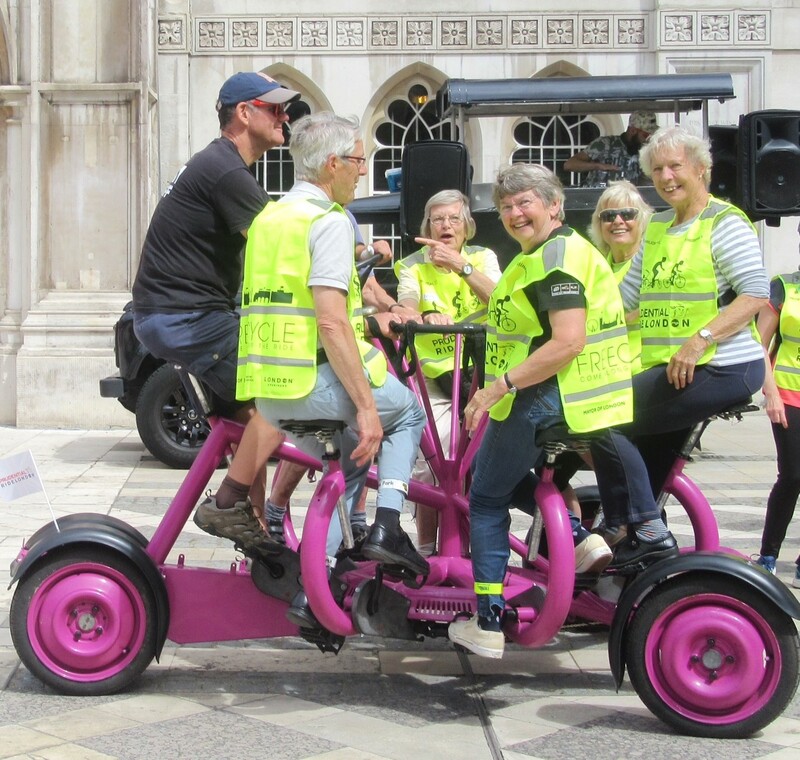 The Petersfield U3A Cycling Group was formed in 2000. 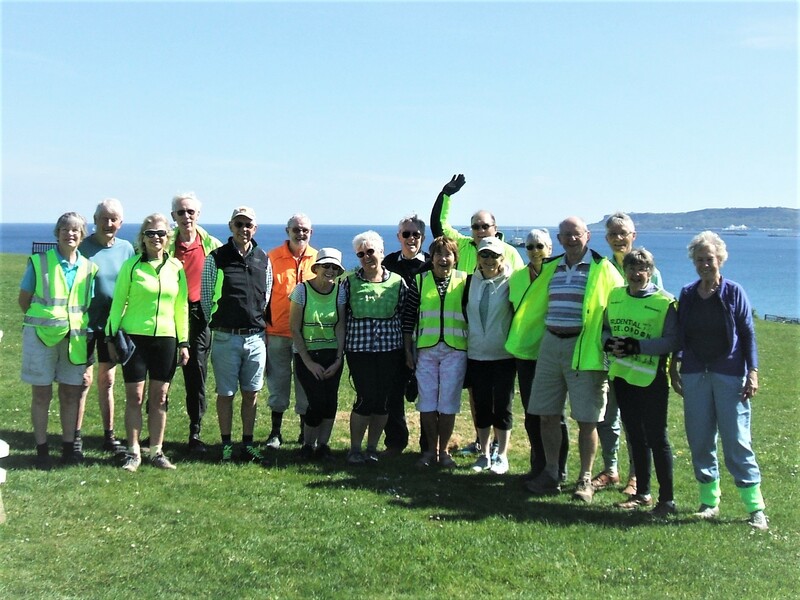 The unlikely concept of a group of “third agers” regularly getting on their bikes to enjoy exercise, the countryside and company has been an outstanding success. The group has around 40 names “on the books” and rides regularly attract 10 -12 riders. The record is 21. We are social cyclists. We have no pretensions of athleticism. We don’t wear multi coloured lycra. We don’t charge along the roads “head down, bum up”. We potter along at average speeds below 10 mph on rides varying between 15 and 30 miles - stopping for coffee (often) and lunch (always). If the hills are too tough we walk and we always wait for those at the end. Our bikes vary from quality road bikes (and one classy tandem) to “shoppers” (complete with baskets) to pretty well everything in between – including an increasing number electric assist bicycles. Most years a dozen or more of us have got together for a 3 or 4 days cycling holiday. These have covered places such as the New Forest, the Suffolk/Essex borders, North Kent coastal trails, Isle of Wight, Norfolk and Jersey. That these breaks happen annually is proof of their popularity. We hope we can demonstrate that third age cycling isn’t a pain, it’s FUN. Our current programme is SHOWN BELOW. Contact us via "Click to send a message!" for further details. A grand total of nineteen riders left Petersfield in uncertain weather for the short ride to East Meon, the Izaak Walton and the prospect of a Fish & Chip supper. They were not disappointed, the weather held, the ride was pleasant and the Fish & Chips were excellent. An international air was added when a rider joined us having only just returned from Switzerland. On the return ride the leader established a new record by losing every single rider with the exception of his wife! However since there have been no reports of missing cyclists we can only assume that they, like homing pigeons, all returned to roost. 14 happy cyclists set off on a glorious summer’s day from Sheet Green to their coffee stop at the triangle at Liss where two others joined them. The group was divided into two, to enable drivers to overtake as and where necessary. The countryside was looking its best with sunlight giving a dappled effect as it broke through the heavy canopy of trees in Harting Combe. The Jolly Drover provided an excellent service as always and plates were returned empty if not licked clean! The northerly wind kept the temperature down as we descended homewards after what we all agreed was a successful day’s cycling. On a perfect summer's day for a cycle ride and afternoon tea 15 riders met at Sheet Green. Picking up a couple more riders on the route we had a pleasant short ride (13 miles) to Liss, Liss Forest and back to a scrumptious tea in the leader’s garden. The ride comprised only two group members plus sundry other cyclists. We visited 14 churches and raised a bit of cash for the Hampshire & Islands Historic Churches Trust. There were 11 on this ride that went via Buriton to the Queen Elizabeth Country Park where coffee was taken. The route took the challenging road up Hoggs Lane to Butser and the party enjoyed the run down Harvesting Lane to East Meon for lunch in the George Inn. The ride back, in summer rain (not uncomfortable} via Ramsdean to the Causeway was much improved as large stretches had been resurfaced. 'Twas a fine autumn morn that saw 12 cyclists start from Sheet Green at 11:00 for the ride to Milland for coffee in the Rising Sun. Then followed the challenging climb south towards Iping on narrow and steep roads. After crossing the A272 the view of the South Downs was stunning. We arrived at Elsted (Three Horseshoes) at 13:30 for a welcome lunch in the open in the pub's beautiful grounds. The ride back to Petersfield, mostly downhill, brought a very pleasant outing to an end. Statistics: 12 riders (7 e-bikes). 14 miles (outward) to Elsted. 7 miles (return) from Elsted. Total 21 miles. Time in saddle: 2h 45m. Time in pubs: 1h 45m. Rating 2/3. Weather excellent with light northerly breeze. Conduct of the riders: impeccable. The Groups accounts (which total less than £20) were agreed. David Hague stood down as stand in Coordinator. Malcolm Muggeridge was unanimously elected Coordinator. The name of the Group was discussed and overwhelmingly it was agreed that it should remain "Cycling for Fun". Malcolm Muggeridge gave a PowerPoint presentation of the "Google Sites" based system that he would be introducing to replace the former email and Dropbox system. Both systems would run in parallel for a period. The change of system was discussed and accepted. It was agreed that the 2019 Spring Break should be that proposed by Brian Mayo, the Malvern Hills area. Brian said that he would be using the new Google system to aid administration of the project. In the customary manner the meeting finished with tea and cakes. 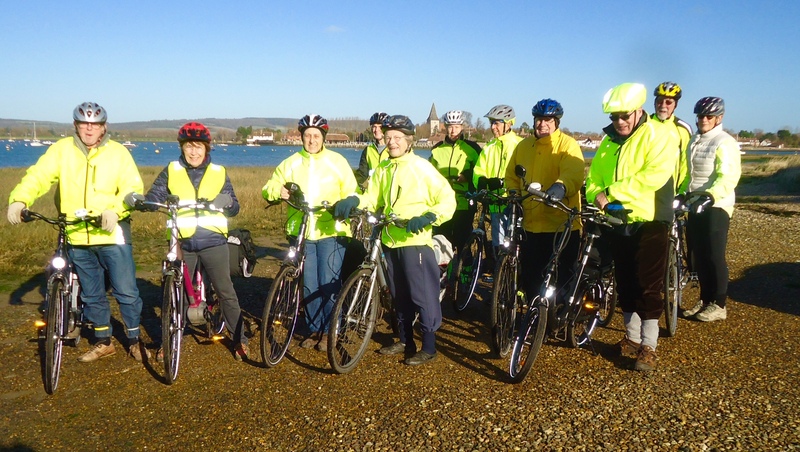 13 members had a FUN day cycling in the Fishbourne/Chidham/Bosham area on 8 November. It was a fine bright, if windy day. All enjoyed the 18 mile easy going ride with comfortable Coffee and Lunch stops. 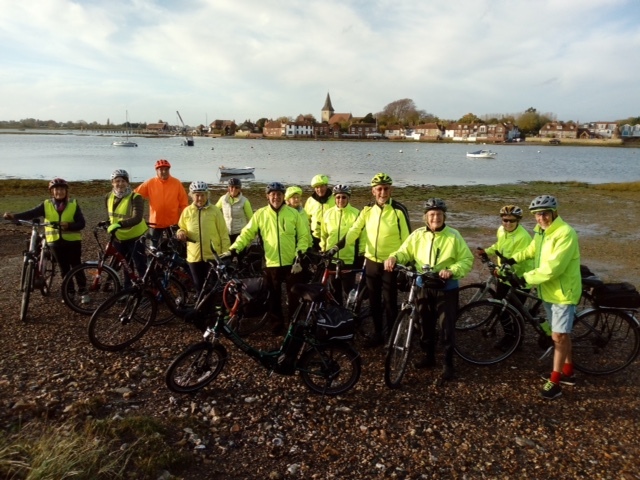 Towards the end we had our photo taken at Bosham Harbour by a passing cyclist. 7 members met at Petersfield Station for a 28 mile ride over Teglease Down via East Meon to the White Lion at Soberton for lunch. All were well prepared for a 'freezing start' and the temperature rose during the ride so that the ice had almost disappeared after lunch. A good fire and real ale in the pub restored any flagging spirits and the return via Hambledon and Clanfield was rounded off with afternoon tea at QE Country Park before the final climb over the Butser Crossing. The weather remained dry throughout with some week sunshine at times and nobody fell off - a good ride for January! Lunch at historic "Bat & Ball" pub, and 18 plus miles in excellent weather on quiet lanes and cycle route. Members may like to note that refreshments at QE2 Park are now in marquee beyond the centre whilst extensive building works are in progress. 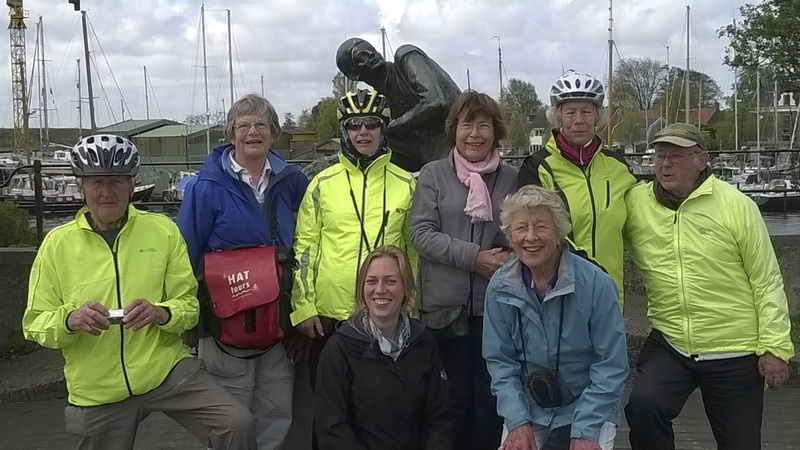 11 of us convened in a coffee shop in Gosport prior to setting off on a circular ride around the Gosport peninsular. We then progressed to the Cycle/Bus way along the old Railway line (beautiful tarmac), passing through some housing, industrial, sports fields and on to a pretty lane closed to traffic. If you would like to try us give us a call. All you need is access to a bike and be willing to have a good time. The rides are all offered and run by established group members on various days of the week (not just weekends) All contact about rides etc. is by e-mail. There is no restriction on overall group numbers. 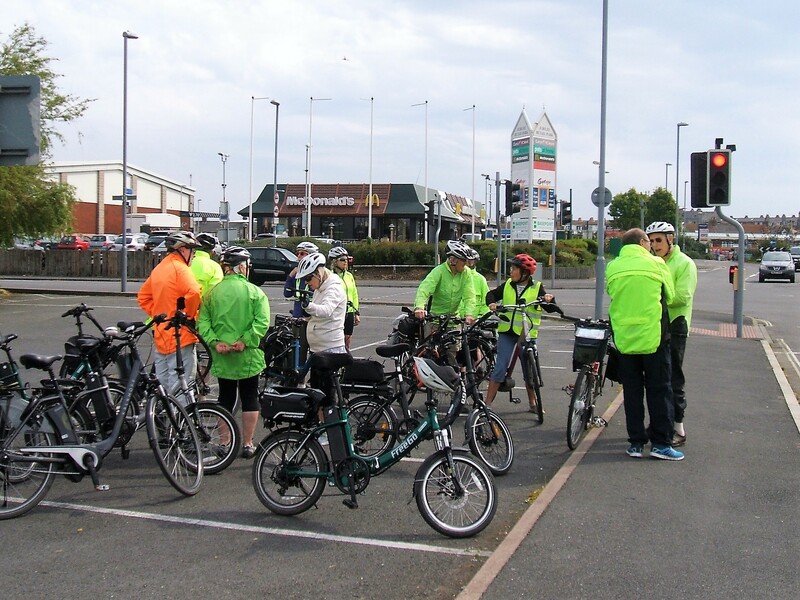 If a large number book into a ride (not often a problem) we split into smaller groups on the road for safety and to minimise our impact on car drivers.